In the modern era, Christmas and Hanukkah have become widely popular holidays worldwide. The Christian festival of Christmas celebrates the birth of Jesus Christ, while Hanukkah celebrates a miracle that took place during biblical times. Although the events recalled in these holidays are unconnected, Christianity and Judaism spring from common traditions and holy books. In fact, their origins are so closely linked that people often refer to a Judeo-Christian tradition or heritage. Both Hanukkah and Christmas take place close to the winter solstice - the shortest day of the year. Each celebration, closely associated with light, provides a source of comfort during the dreary winter months and encourages celebrants to look to the future. 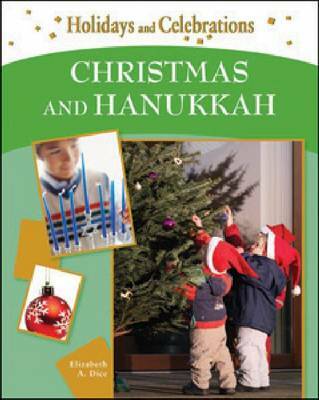 Following a description of the origin, history, and customs, ""Christmas and Hanukkah"" looks at the unique ways people in Europe, Latin America, the Middle East, North America, and Oceania celebrate these holidays.